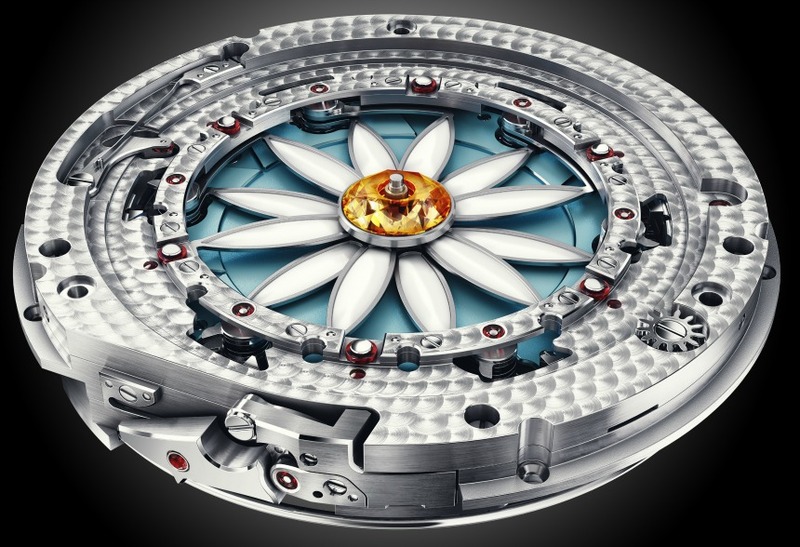 By pressing the button at the 2 o’clock position a petal or occasionally two petals -which will occur is impossible to predict- disappears underneath the dial mimicking a real flower. Following this the answer to the question then appears in the window below. Unlike the English version of this game which is unequivocally either yes or no, the French version has the nuances: “loves me a little”(Un peu), “loves me lots”(beaucoup), “loves me passionately”(passionnément ), “loves me madly”(à la folie ), or “doesn’t love me at all”(pas du tout). Adding to the whimsical effect with each push of the button a chime also sounds, struck by a ruby adorned hammer which can viewed via a window at the 8 o’clock position. Pushing the reset button at 4 o’clock makes all the petals return to their place on the flower and shows the “….” message in the window. Accentuating the romantic theme of the watch are excerpts from Victor Hugo’s classic poem Unité adorning the mother of pearl dial, while three diamonds add to the decoration. 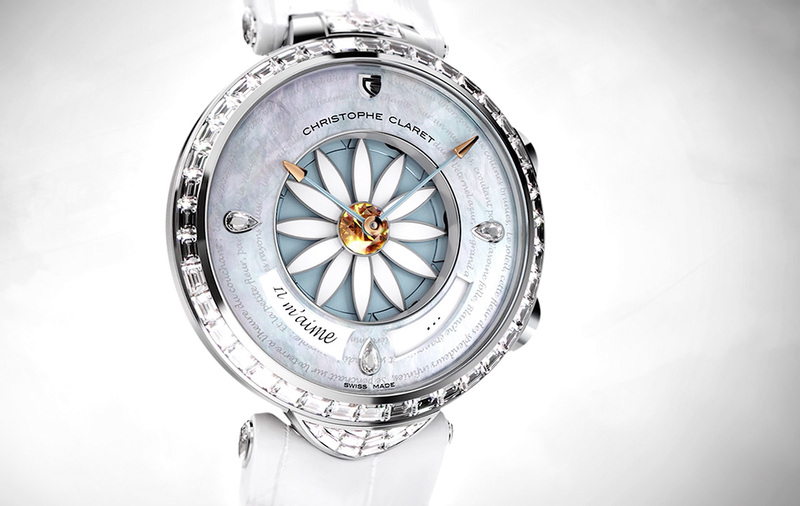 The Christophe Claret Margot has steel hands which are gold-tipped and rounded by hand. 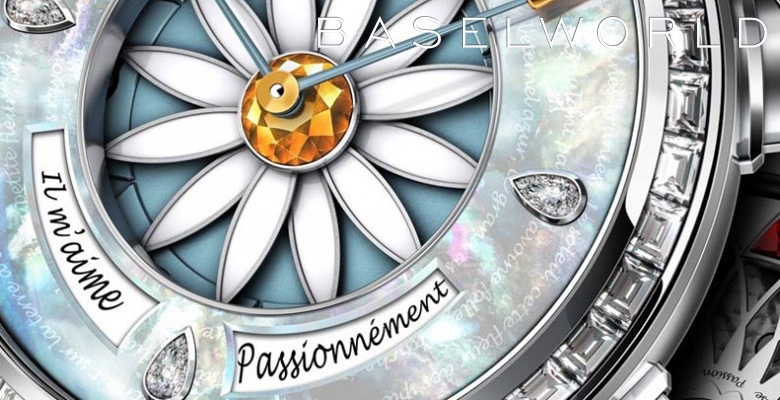 And around the central yellow sapphire are 12 white, satin-lacquered titanium petals adding further to the feminine, decorative nature -as well as depth- of the dial. While around the bezel are a sparkling array baguette cut diamonds which amplify Margot’s shimmering impression. The gold case has a curved profile aimed at the more slender female wrist and to give the watch a cleaner and purer aesthetic the crown is hidden from view, placed on the back next to the top lugs. 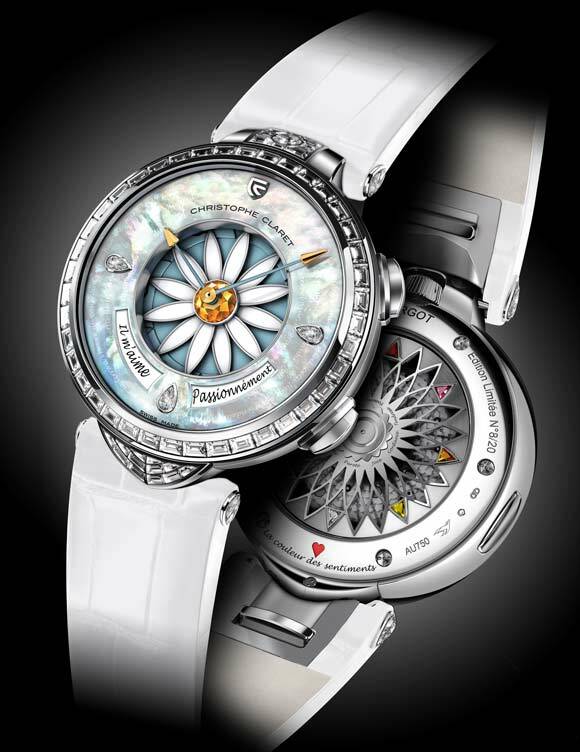 The automatic winding rotor can be seen through the display back as well as a finely carved, flower-shaped mixture of colors which according to Christophe Claret are intended to symbolize the sentiments of love. A central cabochon conceals the rotor’s ball bearings. 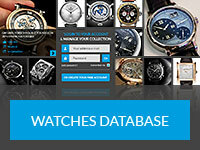 Definitely one of the more eye-catching offerings on show at Baselworld this year, the Christophe Claret Margot comes in three limited editions each comprising 20 pieces. Christophe Claret will produce just 20 pieces in each of the three versions of the Margot watch for a total of just 60 pieces total. 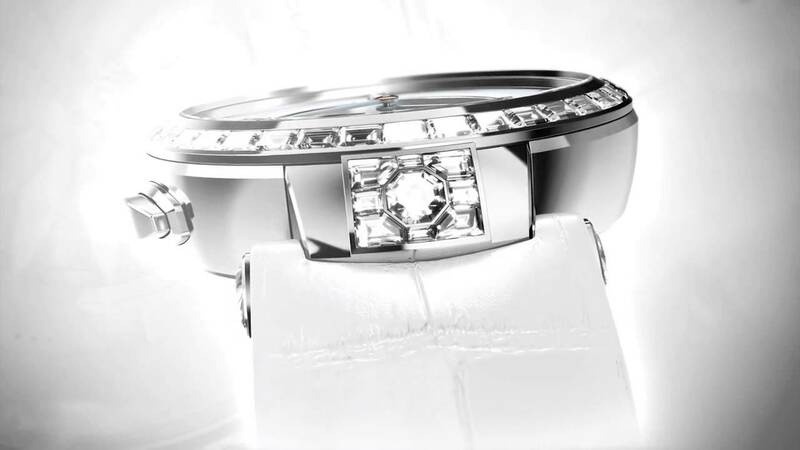 Price is between 198,000 Swiss Francs (3 carats of diamonds) and 278,000 Swiss Francs (5.2 carats of diamonds).